James took the plunge and came over from across the city to battle me in a game of The Hobbit sbg. 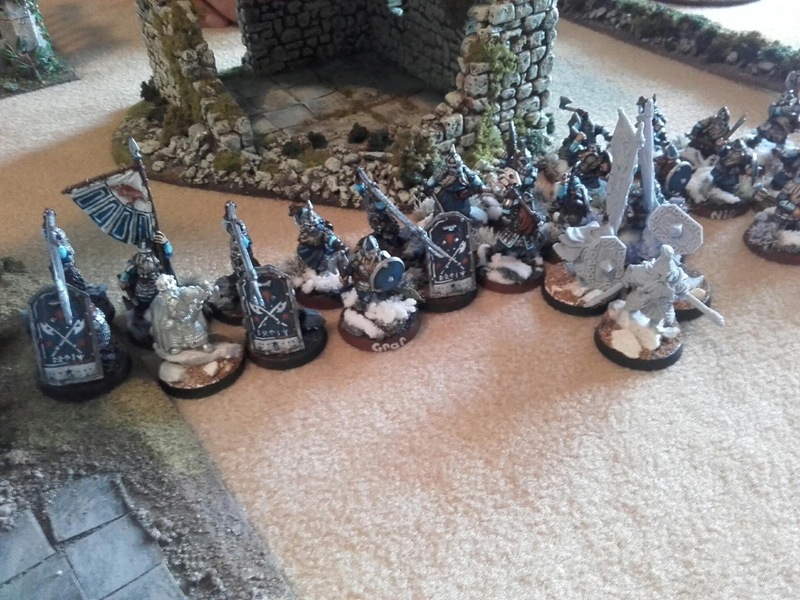 He brought along a Dwarven army... Durins Guard, packed full of elite dwarves. Iron Guards, Khazad Guards, Ballistae, heartguard, Vault wardens, kings champion... pretty much the whole 9 yards. 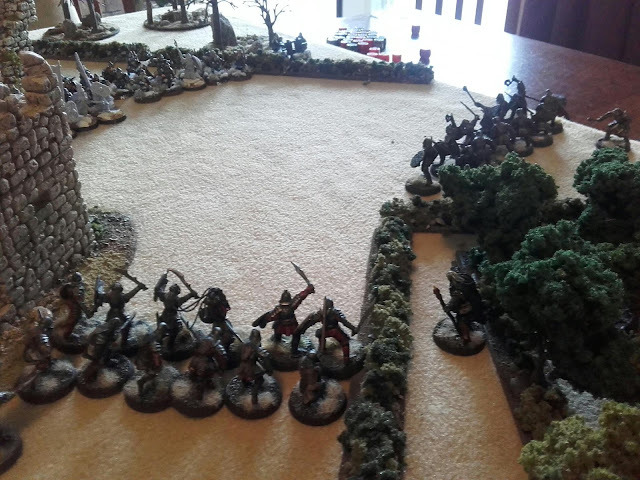 We drew them out of their mountain hold to fight in the open, the woodsmen ruins south of the Gladden River, hoping for some sort of advantage. 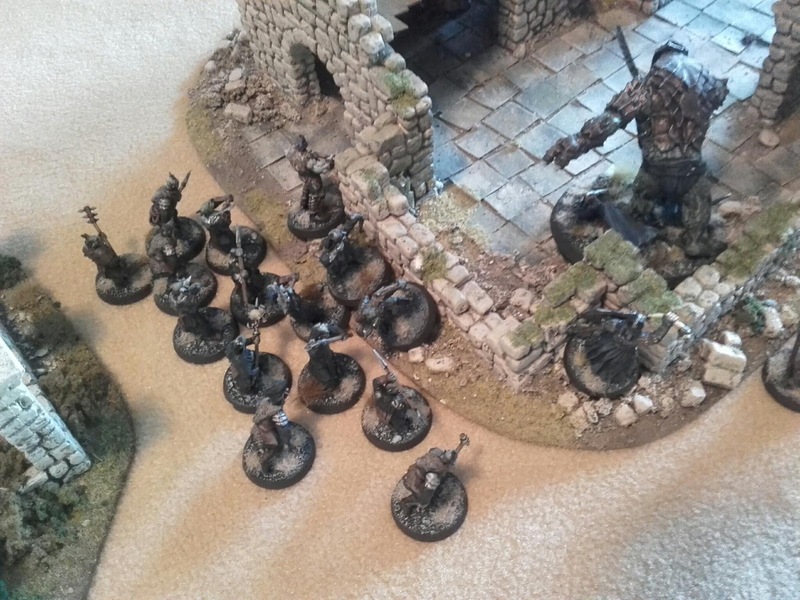 My Misty Mountain orcs were on the prowl for new territory and their warlord commander was under pressure to get the job done or feel the wrath of the dark lord. 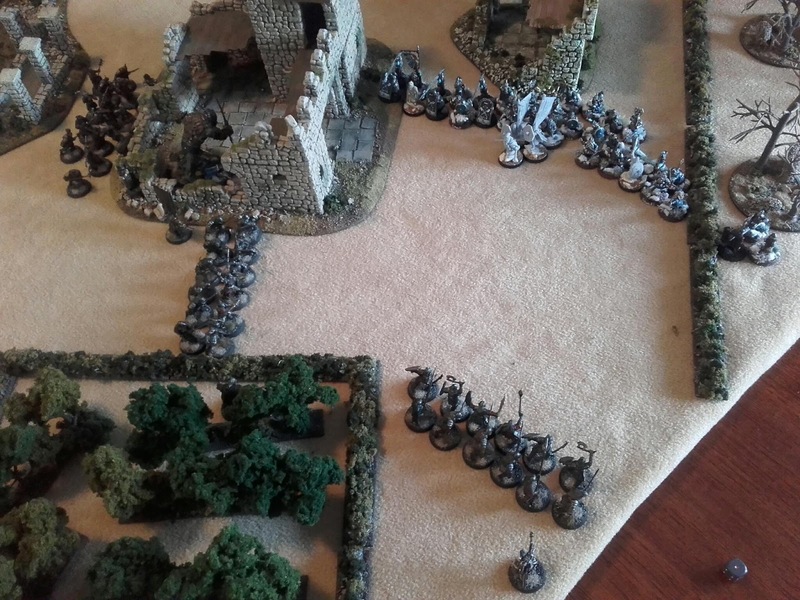 Lead by Marzuk (bolg) with hunter Orcs and a morannon/orc shield/spear line and the mighty war troll Glub, we out numbered the dwarves almost 2-1. We scouted out the dwarves and drew up for battle. Marzuk lead the charge and saw an opportunity to swipe Durins crown, Durin wounded twice but after a few turns of battle Marzuk found himself surrounded and the dwarves took him down... the battle lines had crashed together and Dwarves inflicted heavy casualties on the poorer quality Orc troops... Glub smited the kings champion and raged on into the ranks but it was too little too late and so it ended, black orc blood stained the fields and the tide turned... Durins line lives on. 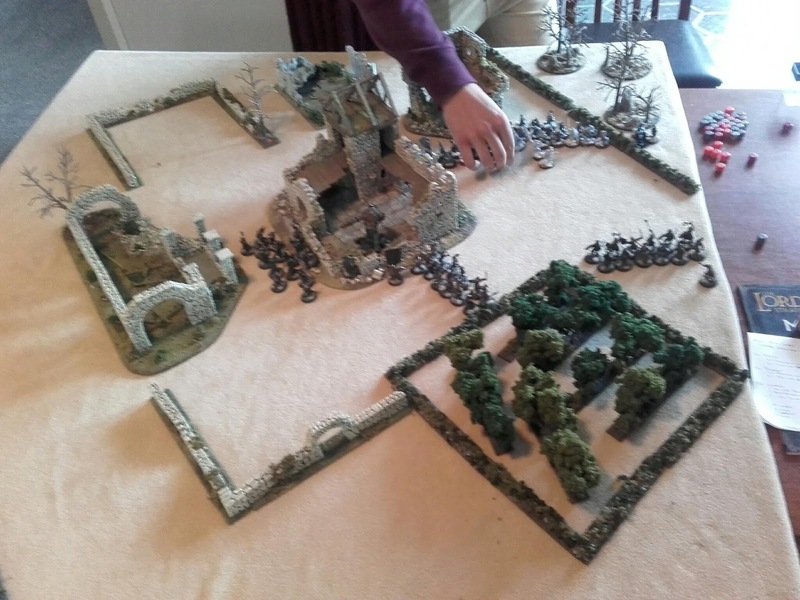 Thanks James, fun game, nice to be learning more rules and stats :) You figures are looking really good, cant wait to see the champion painted up.